Join us for our "Meet and Eat"
We love trucks at Stillwell, and we love to talk trucks! 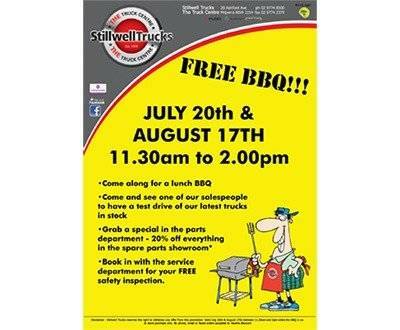 Come on down to our dealership and chat to our staff - enjoy the free BBQ or test drive a truck. 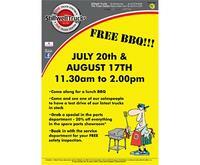 And don't miss the parts and service offers on the the day....20% off all parts in the showroom. See attached flyer for more information and offer conditions.